NEW YORK, USA – As freezing winter winds make most New Yorkers bundle up, some train riders decided to drop their pants on the subway, all in the name of comedy. Golda De La Merced, train rider of New York said, “It’s so weird but it’s very exciting because you have no pants inside the subway and people are looking at you but you have to pretend that you totally forgot to put on your pants that day,” as reported by ABS CBN News. 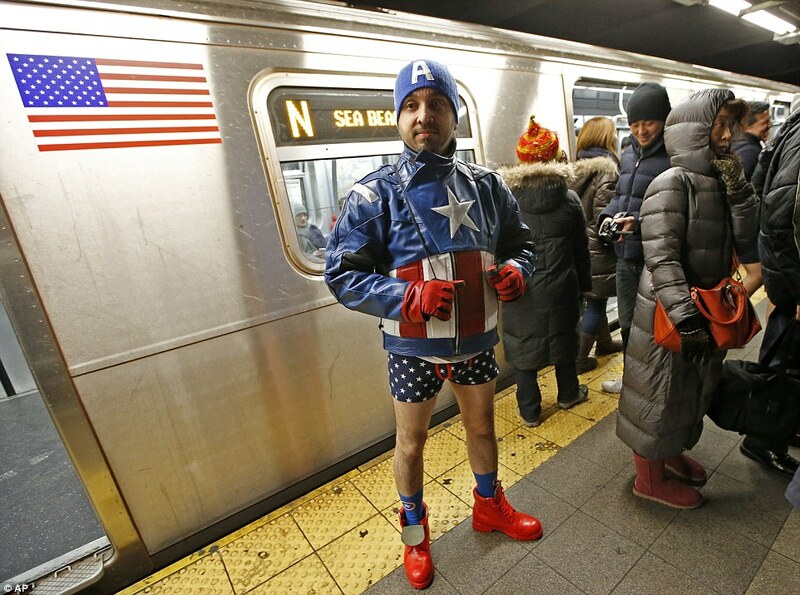 “No Pants Subway Ride,” a prank started in New York in 2002 with only seven riders without pants, was organized by comedy group Improv Everywhere, with its founder Charlie Todd. At present, after more than a decade, this subway strip-down prank happens in more than 60 cities in over 25 countries. In New York alone, there are over 4,000 riders who participated. Joining the fun, the Filipino-American came all the way from Philadelphia just to show off their best undies. However, not everyone is amused with the event. Some participant saw the event in positive way. Glen Robert Corral, who is dressed up as a pant-less Captain Jack Sparrow, said the event is the people’s way of showing their freedom, liberty, their freedom of speech and expression. “With all the stuff that’s happening in the world and in the news lately, this is what it should be like, everybody having fun, and hanging out and laughing,” said Conan Jorge, an Ozone Park resident.